The IRS will begin accepting 2016 tax returns in January 23rd 2017. The IRS have released the official first day to file your taxes in 2017. It will be January 23rd 2017. Early reports of IRS approving many tax returns ahead of time. We have had many of our Facebook followers and website followers report that they have had their federal tax returns accepted by the IRS already in 2015. 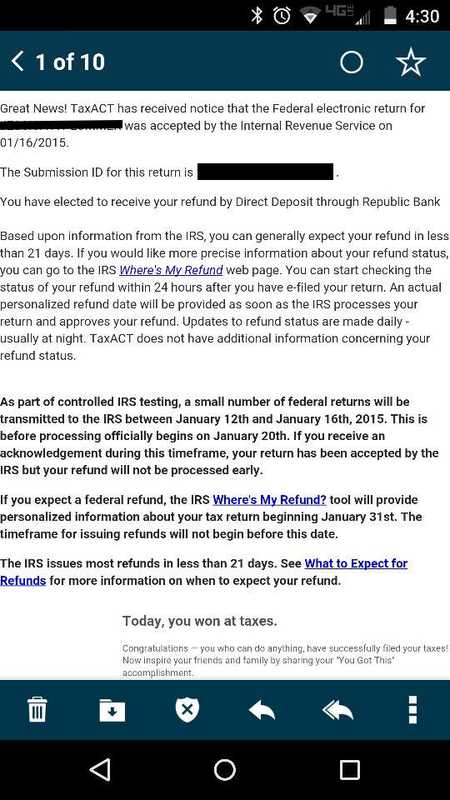 We were under the impression from the IRS that returns would not be accepted until January 20th, 2015. This is great news for those lucky ones. We will update our 2015 IRS tax refund schedule to reflect the lucky few who have been accepted. Feel free to comment below regarding your tax return acceptance date to give us all some hope. Many individuals might expect to get their IRS Tax Refund Early, but read the email before jumping to that conclusion. If you receive a similar email, please forward us a screenshot to info @ refundschedule.com . We greatly appreciate this. 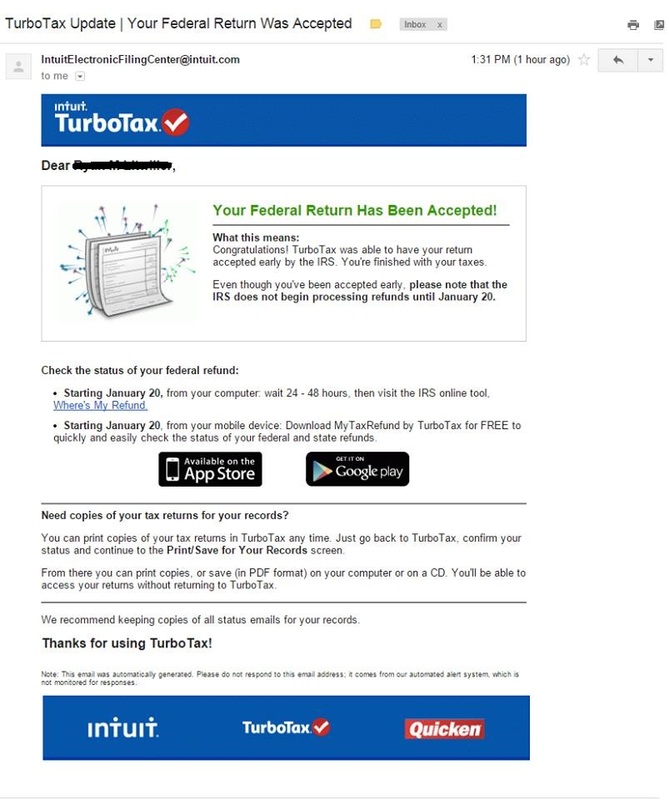 Also a note, TurboTax and TaxAct are not official sponsors of our site. We only present these screenshots as proof of the acceptance dates. We will update this post as we get more screenshots.